The debate on campus carry and whether or not teachers should concealed carry has been built on a foundation of cultural components that are both distracting and complicated. Should teachers carry firearms for self-protection and why should they? Get outside the politics, the fear and the rhetoric from any side of the political aisle. If it suits the reader better, definitively answer the question for others in the comments. The short answer from this article: yes, they should, but only if they’re willing, capable and understand gun safety. The issue is that in an arena built on the democratization and distribution of knowledge, many feel that a weapon distracts from the academic environment. The whole point of concealed carry, however, is that it’s built on subtlety and unobtrusive protection. Before looking at the pros and cons of the issue, let’s define campus carry within the context of which teachers should carry a CCW. The U.S. Department of Justice Bureau of Alcohol, Tobacco, Firearms and Explosives defines a school zone, within the context of most laws surrounding the matter, often in reference to the Gun Control Act of 1968, 18 U.S.C. Chapter 44 as being within 1,000 feet of a public, parochial or private school. 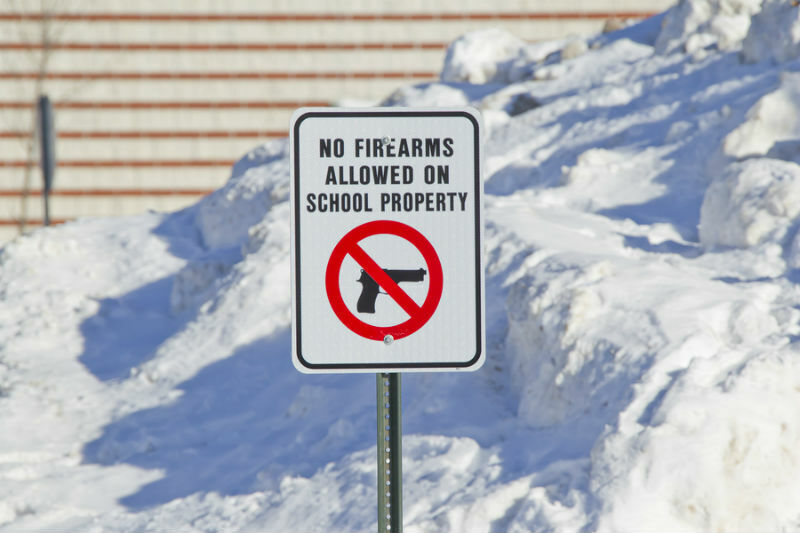 The Gun-Free School Zones Act of 1990, struck down and rebuilt about five years later, was in relation to the Crime Control Act of 1990, which sought to decrease the role and impact of crime within the educational sphere. There were some issues with the law. A 12th grade boy was mixed up in firearms possession on campus and there were legal repercussions. The Supreme Court in United States v. Lopez struck down the act under the grounds that the commerce clause did not cover the matter at hand. Generally, it is impermissible to carry a firearm on school property. Are there exceptions? Absolutely. Passing through the school zone with the firearm unloaded and secured within the vehicle in many areas will be perfectly acceptable. Possessing and using a firearm within the school zone has some exceptions when attached to a school-approved event as well as whether or not the location or building is private property falling within the school zone, especially when it’s a federal firearms licensee. That’s simplifying the matter -- 18 U.S.C. Chapter 44 922(q)(2)(A) outlines the exceptions in full and there are further state exceptions based on prevailing laws and permit and license rights. Is there a difference between college campuses and primary/secondary schools? Within the context of cultural and criminal environments and their impact on interpretation of gun rights and possession, certainly. However, outside of that from a purely definitional standpoint, the “school zone” can still apply. The debate really picks up and is hotly contested on college campuses. That is the focus in America (well, one of many in the spectrum of gun rights/control) as of now. Students in Texas, which recently passed legislation allowing licensed students over 21 to carry on campuses, held a … provocative protest that picked up headlines. According to a report in May from the National Conference of State Legislatures, 18 states ban concealed carry on college campuses, 23 states leave the decision to prohibit or allow concealed carry to the institution and eight states specifically allow concealed carry on public postsecondary institutions. Writers aren’t the best with arithmetic, but 18 plus 23 plus eight is 49. The remaining state in the report appears to be Tennessee, which allows some faculty and staff the right to carry on campus. Some outlets, like Armed Campuses, list ten states allowing concealed carry on campuses. So, the focus is on teachers within postsecondary institutions within the aforementioned states. 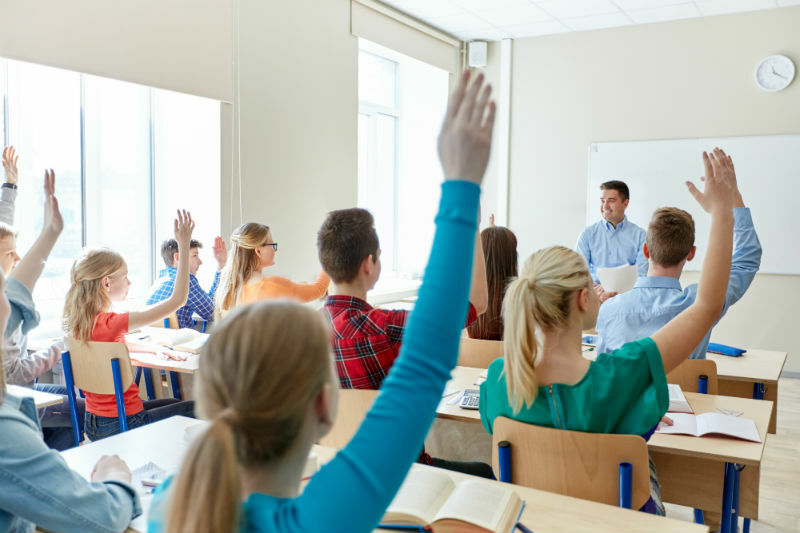 Should all teachers carry a concealed weapon? No. Absolutely not. Are all teachers prepared for or supportive of concealed weapons? No. Absolutely not. Would some benefit from carrying a concealed weapon given the right training and environmental/situational need? 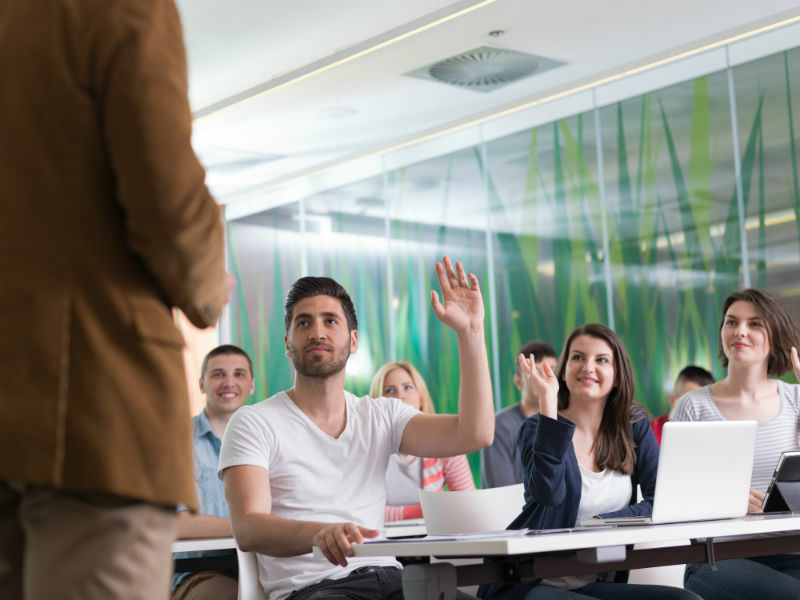 There is debate on every side about whether or not concealed carry on campus is acceptable in general, as well as whether or not there is validity in the practice for teachers and students. A think piece in The Atlantic posed the argument against armed campuses in an age where anxiety rules in every aspect of the college experience. The point was made that introducing weapons into the classroom may impact honest discussion and discourse, even inhibiting which topics are brought forward and pushed for debate, as is the case in the University of Houston which suggested professors not push certain topics when it could incite a student brandishing a firearm. There are, of course, the now often-cited cases where a professor negligently discharges a firearm because of poor concealed carry techniques. According to Westword, a staffer at University of Colorado was showing others her weapon and while attempting to unjam it she negligently discharged (because there is no integrity in calling any such case “accidental discharge”) the firearm and struck others. According to The Washington Post, an Idaho State University instructor shot himself (and gun rights in general) in the foot while improperly carrying a handgun in his pocket in class. There are elements that dissuade academics from carrying on campus and there have been cases of improper conduct. The weapons are in environments with a potential for crime, a potentially high amount of alcohol, a high stress environment and there are conflicting opinions socially, politically, economically, academically, culturally and otherwise. There is a perfect storm of chaos that poses a backlash against the idea of a teacher carrying a concealed weapon on campus. It seems like a cop out to bring this element into the mix, but for some it has bearing on the issue; there may be political bias to the left on whether or not a gun has a place in the school environment. It damages the authenticity of an argument to use escapist, well worn clichés. It also damages the question at hand to reroute the argument to fear tactics — as in, teachers won’t be safe unless they constantly carry a concealed weapon. Making a blanket statement like that also does not advance gun rights, nor does it support why teachers should concealed carry. It helps bring context to gun rights, and presenting the reasons for campus concealed carry measures and laws only helps the case. But why should it be allowed? The Second Amendment could be a good starting point, but that’s a bit broad. State laws allowing the practice are also a great reference point on why weapons should be allowed in the classroom. In fact, the safe answer is to indicate teachers should concealed carry where laws permit. Pull away from the laws, pull away from cultural chatter, pull away from political elements, pull away from fear and safety and crime rates. Withdraw from interpretation and focus instead on what has happened and what environment the teacher is in. Virginia Tech has happened. The Umpqua Community College shooting has happened. Alabama, Ohio, Florida and any other number of states’ schools have been hit with mass shootings. It’s not a red herring to focus on shootings on college campuses. It’s also not a distraction from the matter at hand to bring forward that colleges potentially have visitors, students and faculty of every mind frame and potential background for lethal conflict. Background checks can only do so much. The law of inevitability can and will bring weapons into the wrong hands. That is a reality of weapons and conflict. They will always exist. There is a difference between presenting real life tragedies and their real, unfortunate human losses as a point in an argument (which is too often done far too callously) and recalling their memory as a point of consideration. Much like the pursuit of knowledge, there is value to human life. The individual, teacher or not, can protect it with a tool when they safely research, train and prepare for how and when to use it, why and the extent to which it can provide safety. A concealed weapon in a teacher’s waistband, hidden from sight and mind until absolutely and irrevocably needed, can be a tool. Is it something every teacher should pursue? Not at all. And not every environment will always be lethally dangerous. There is the possibility of that occurring, but that does not equate to the environment always literally being lethally dangerous. A firearm is inherently dangerous, but it is also only as prone to causing harm and protection as the person who owns and controls it. Citing the reality of danger for safety’s sake is not the same as using fear to drive an action. Within the firearm industry, it’s a fact that these deadly weapons at some point may be used with deadly intent. A teacher’s reliance on that fact can lead to life or death. So, yes, teachers should carry concealed if they’re able, safe, willing and within an environment that necessitates and legally allows carrying a weapon. They should do so because safety, caution and preparation trump fear and complacency. They should not do so because of a Wild West mentality that everyone has a gun. They should want to actively take a stance to safeguard lives, and, yes, they should equally want to reach out to law enforcement and established forces of brave men and women if at all possible. “Should” is the key word, but whether or not they can, will or need to is a better way of approaching the issue.